One Mobile Ring has just taken stock of the latest HTC flagship Desire HD handset on Vodafone for an upcoming review, where we thought we would publish the unboxing pictures of the mobile phone for your viewing pleasure. 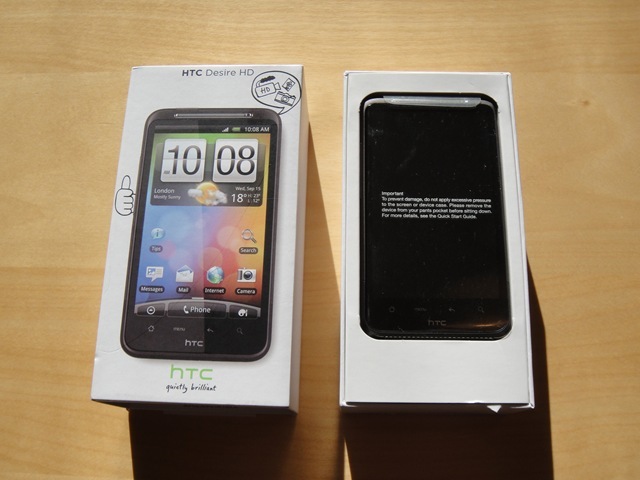 The HTC Desire HD box opened up, exposing the mobile phone to the world in all its glory – ready for the rest of the contents to be spilled out for all and sundry to see. 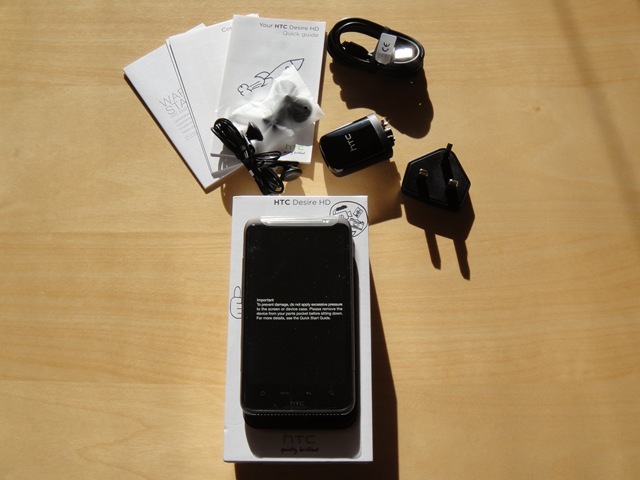 The HTC Desire HD unboxed, with all those contents spilled out – including the handset, documentation, headphones, data and charging cable, with the UK power connector. 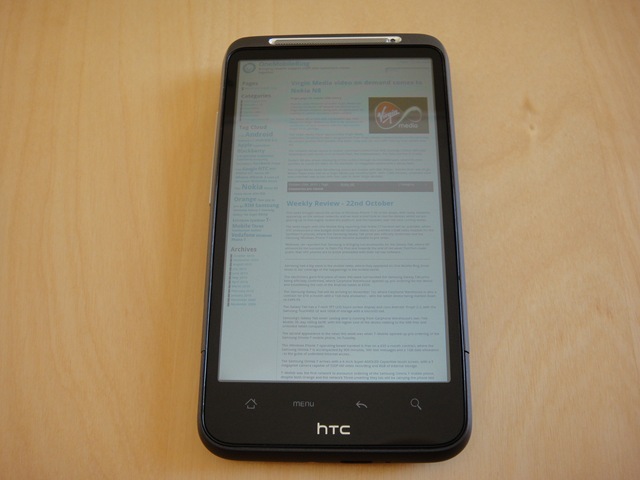 The HTC Desire HD 4.3-inch 480×800 WVGA LCD touch screen handset, running Android ‘Froyo’ 2.2 with the HTC Sense overlay to the platform – with of course, the One Mobile Ring website loaded up. The HTC Desire HD top, which only contains one button – the power button. 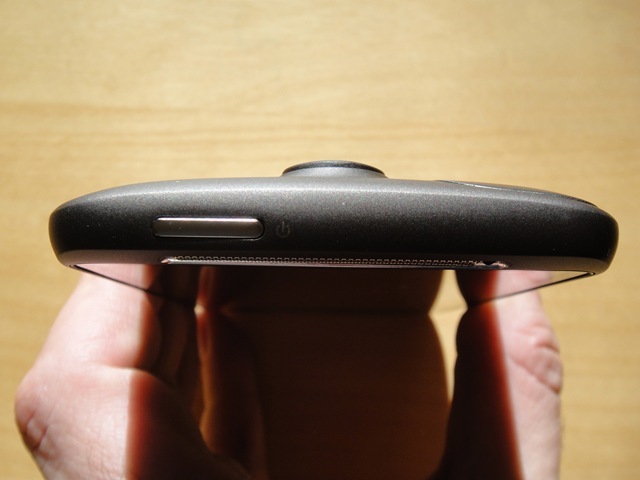 The 8 megapixel camera lens can be seen protruding, just below the top of the phone casing’s rear. 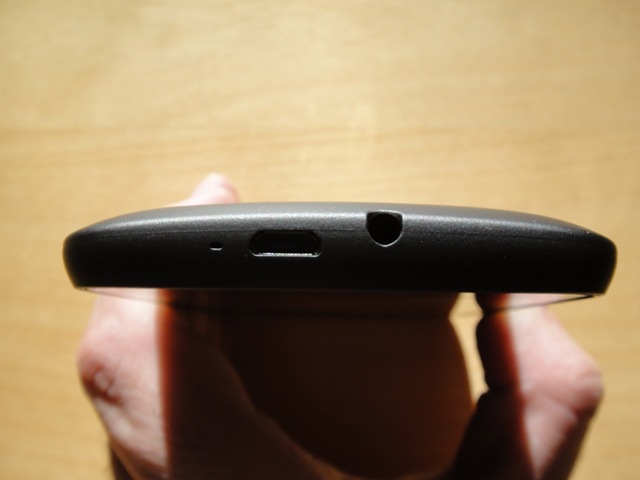 The HTC Desire HD base of the phone, which houses the microUSB port, used for both charging and also the data connection. This port is situated next to the 3.5mm audio jack socket, used for the headphones of choice or for a hands-free communication headset. 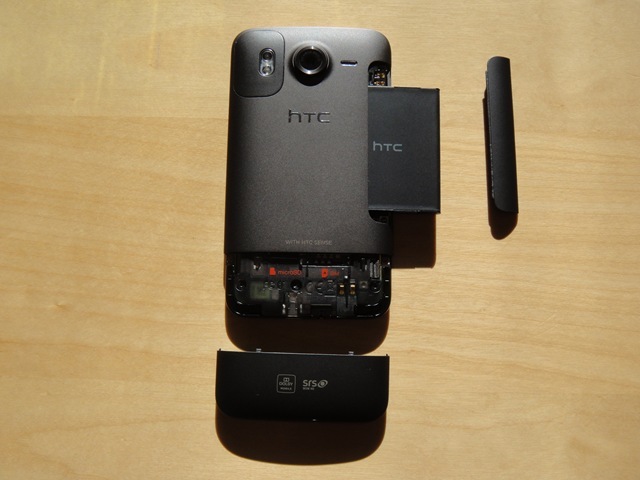 The HTC Desire HD rear, containing the 8MP camera, dual LED flash and a slide-out bottom for the SIM card, along with a microSD memory expansion card. Midway up the handset’s right side, where the volume button is located, there’s a slide-out panel – where the battery slides into the mobile phone, in a non-removable phone case. 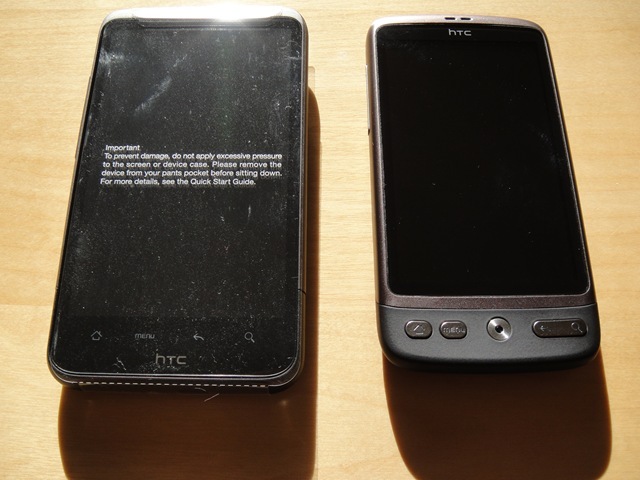 The HTC Desire HD vs. the HTC Desire – 4.3-inch screen phone, compared in size to the original Desire with a 3.7-inch AMOLED display.